Sterilized vegetable oil can be used in a variety of situations. For example, when you want to process the skin of a newborn baby or to make preparations for the winter. In the store you will not find a vegetable oil that has been specially sterilized, so there is only one to learn how to sterilize the oil at home. 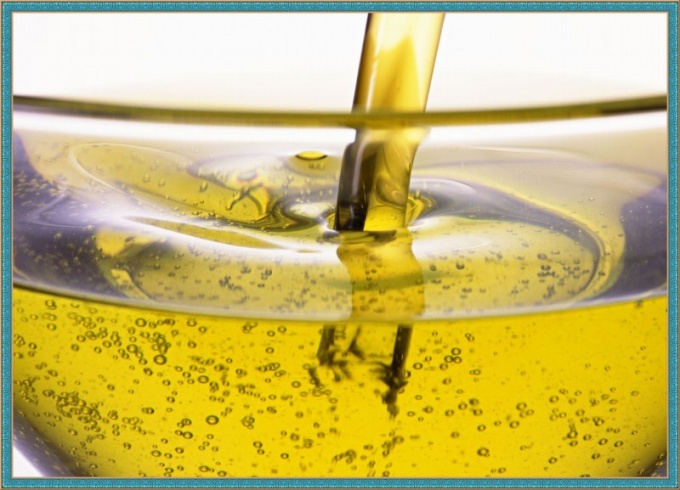 Take 250 grams refined vegetable oil and pour it into a half-liter glass jar. Place jar of oil in a pot of water and put on fire. Please note that to put the oil in already hot water, it is impossible - due to the temperature difference can break the Bank. Under the jar of oil on the bottom of the pan preferably on the gauze, folded in three or four layers, it will also protect the Bank from high temperature changes. Stir a little thin wooden stick, so it is evenly warmed.Sterilized vegetable oil is necessary for 30 to 40 minutes. The water in the pan will gradually boil away, so you need to periodically add fuel, otherwise a can of oil can burst. Ensure that the water was an inch or two more than the oil in the pot. Do not worry if the oil gets boiling water, it will quickly rise to the surface and evaporate, because these products have different density and different temperature of boiling.It is not necessary to sterilize a large amount of oil, it is better when you need to cook it. After sterilization, allow the oil to cool down. Only then the product can be used for other purposes. By the way, the remains of sterilized oil can be reused, only need to cover the jar with clean oil, cover or roll up like roll up the vegetables for the winter. Sterilize the oil in a microwave oven is strictly prohibited: in case of overheating, collapse of communication and complex fats product simply decompose (and that's why you can't cook on is spent sunflower oil), and when underheating you won't get sterile. Vegetable oil is sometimes used when bathing children. To do this in the bath water dripping 10-15 drops of sterile product. Oil for newborns it is recommended to sterilize in the bottle. This is done in order not to pour already cleared the product in new containers, after all, to extract it from the jar before massage baby extremely uncomfortable.